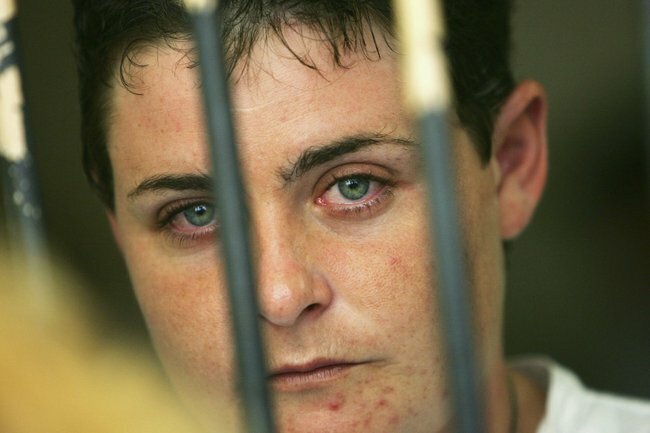 Bali Nine's Renae Lawrence will walk free from jail today. 13 years ago, Renae Lawrence was arrested at Denpasar airport. Today, she will walk free. In 2005, on her third trip to Bali, Renae Lawrence was arrested at Ngurah Rai International Airport in Denpasar. The 27-year-old had 2.689 kg of heroin concealed on her body. The Newcastle local was a member of the notorious Bali Nine, a group of Australian drug smugglers with links to one of the world’s biggest drug syndicates, Crescent Moon. At her trial Lawrence explained that seven months before her arrest, fellow Bali Nine members Andrew Chan and Myuran Sukumaran ordered her to do a drug run to Bali and threatened her family. “If I do not follow his orders and if I tell other people… he will hurt me and my family,” she said at the time. “You have to do it, you have no choice,” Sukumaran allegedly told her. In October 2004, Lawrence flew to Bali for the first time. When she reached Denpasar she was taken to a room at the Hard Rock Hotel. There, Sukumaran strapped heroin to her body and she flew back to Sydney with Chan. Later that day, Chan gave her an envelope containing $10,000 and told her to “keep my mouth shut and told me not to put it in the bank all at once and not to say anything to anyone”. Over the following few months, Lawrence’s life fell apart. She broke up with her long term partner, a mother-of-three who she had been with since she was a teenager. As The Australian reports, with a broken down car and mounting credit card debt, Lawrence stole a car with fellow Bali Nine member Matthew Norman and led police on a high speed chase through Sydney. On December 5, 2004, Lawrence once again flew to Bali with the intent of smuggling heroin back into Australia. This time the heroin suppliers failed to deliver. Then on April 6, 2005, Lawrence attempted to smuggle heroin into Australia for the third time. This time she was caught by Balinese police at the airport. The arresting officer originally thought she was a man, and ripped the clothes from her body. Lawrence immediately cooperated with police and told them everything she knew about the Bali Nine plot. She was initially given a life sentence, which was reduced to a 20 year sentence on appeal. Over the past 13 years, Lawrence has transformed into a model inmate and has slowly chipped away at her sentence. At Kerobokan jail, Lawrence was housed in the same women’s wing as Schapelle Corby. The two had a close but often turbulent friendship. In 2014, Lawrence told Channel Ten Corby had admitted to her that she knew she had been carrying cannabis into Indonesian. 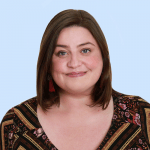 In her book, Corby claimed she was terrified of Lawrence before she met her and had heard she was a “psychopathic lesbian”, but when she finally laid eyes on her she looked like a “frightened mouse”. “A frantic whisper swept around as she walked through the door. As I sat watching, my fears vanished. She looked like a frightened mouse. Her face was full of terror. Her big blue eyes spilling tears, Renae trailed behind the guards like a lost lamb,” she wrote. During her time at Kerobokan, Lawrence turned her life around. According to SBS News, she learnt to speak Bahasa Indonesia and began helping her fellow inmates. She was appointed the leader of the inmates by a succession of jail governors and the other inmates began to call her “daddy”. With her good behaviour and leadership skills, more and more time was shaved off Lawrence’s sentence. Then in 2013, Lawrence was accused of plotting to kill another inmate. She was transferred to the remote Bangli Jail in western Bali. There, Lawrence continued to be a quiet and hard working prisoner. Finally she was told she would be released and this month immigration officials granted her a brand new Australian passport. According to the ABC, a Hindu ceremony was held at the jail to farewell her on Monday. At some point today, she will walk out of Bangli, travel to Denpasar airport and board a plane back to Australia. Now 41, Lawrence will arrive back in the country this week to intense media scrutiny. She will have to speak to police about the crimes she committed as a 27-year-old, and then slowly build a new life for herself. Five members of the Bali Nine remain behind bars.